Diversity and long term planning is a key to a well managed municipality. Attracting local businesses and mixed-use development is essential to expanding our tax base which is the only way to keep our taxes low in the long run. Council has an important role in deciding what businesses are suitable for our needs and my priority is to work with the Chamber of Commerce to support local businesses and businesses that give back to our community. I am also committed to supporting developments that incorporate smart design by following LEED guidelines. We have a niche of urban farmers in our community and supporting local food production is one of the best ways to promote our Live-Work-Play mantra and contribute towards food security in the region. I’m committed to promoting Esquimalt as a destination for tourists. I will make better use of our existing assets and promote our green spaces. Our industrial area can flourish into a place of arts and culture that will attract new visitors to Esquimalt. Photography exhibits, public art projects, music concerts, community orchards and demonstration gardens are only a few examples of making good use of our abandoned public spaces. Empty storefronts and rundown residential buildings is a huge problem. 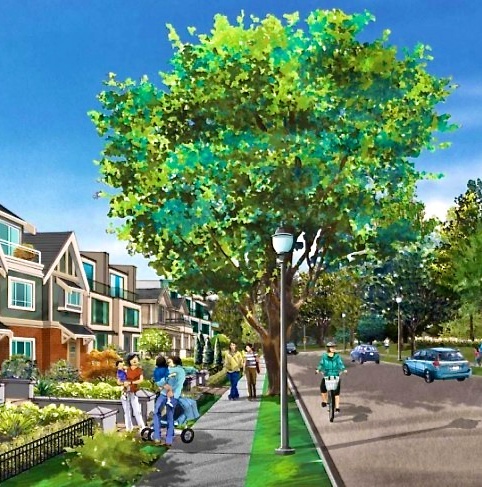 The Esquimalt Village Project which addresses this problem is well overdue. I am committed to implementing a timeline and set a due date for its completion. This project will allow you to tell what kinds of businesses you want to flourish in our downtown core. We’ve waited long enough and I can make it happen.